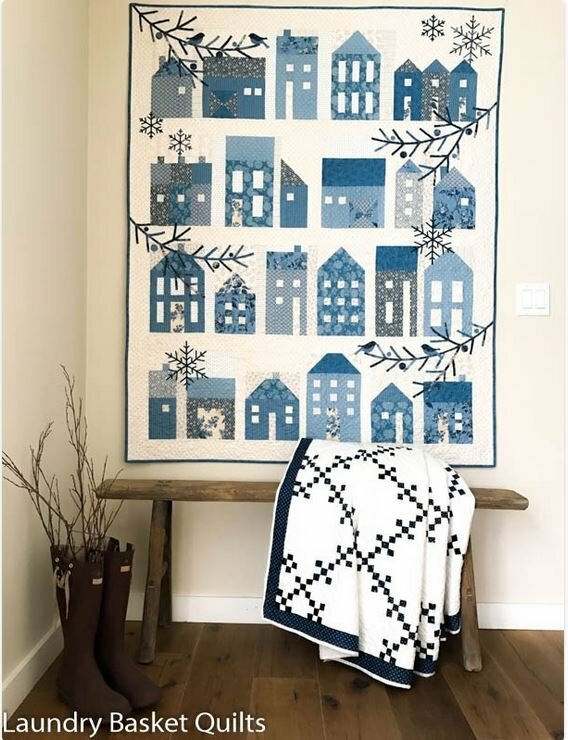 Winter Village is a Traditional Quilt Pattern using our "Blue Sky" collection by Andover. Pattern by Edyta Sitar of Laundry Basket Quilts. Finished quilt size is 53.5" x 66".